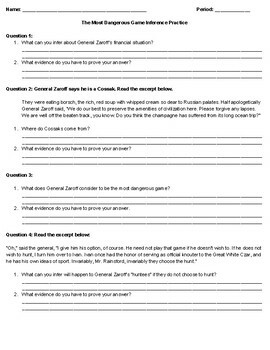 This resource is designed to be used with the short story, "The Most Dangerous Game." 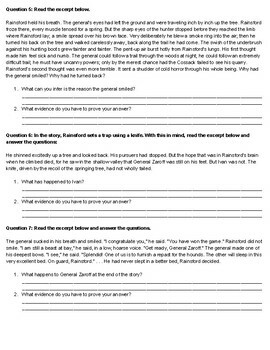 I use this resource with my students as a way for them to practice inferencing skills (R.L.1), practice text evidence citations (R.L.1), and test their understanding of their first read-through of the text. This resource can be used for independent practice or in small groups.